Overview: Midtown is the area of downtown Boston that includes the Theatre District, Downtown Crossing, the Financial District and Government Center. 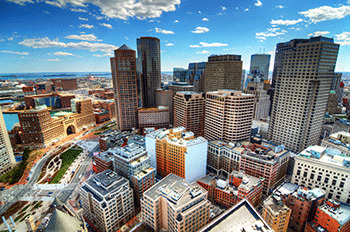 Midtown is popular for businessmen and women because of its convenient location in the center of Boston. Culture: Midtown is at the intersection of several neighborhoods and provides access to a wide range of entertainment options. From shows at the Wilbur Theatre to dinner at the Union Oyster House, there is something for everyone here. Transportation: South Station is one of Boston’s primary transportation hubs with subway, bus and train service to destinations throughout the Greater Boston area and all around the northeast.